Thanks for the note Cooksie! Since I'm new it takes me a little while to figure things out around here, lol. I know the bell very well!! I rang it last year 6 mo. after my first chemo for colon cancer. Then in Dec of 08 my PET scan came back w/ bad news. But for now I'm doing well and hoping that 2's the charm (NOT 3). I'll ring that bell again. Thanks again!! Hi..I've just watched the video of Blooming Teas..I think they're beautiful..
i'll post, cooksie. :) i'm glad you're interested! my Parents borrowed my camera to take pics in vegas, i'll post sunday if jake shows me the way! hello sweetie. thank you for the comment and the reps.
Hello, Cooksie! Thank you for the nice compliment on my dinner pictures! That is a weird hobby of mine, along with cooking. Thanks Cooksie, I know the photo you mean, it was taken in Lanzerote. 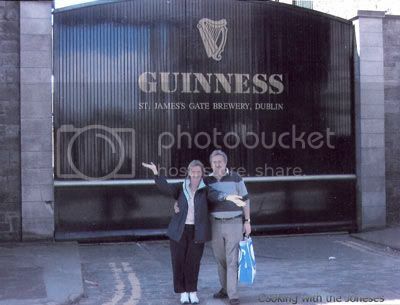 We've had a lot of fun over the years...especially in Ireland.